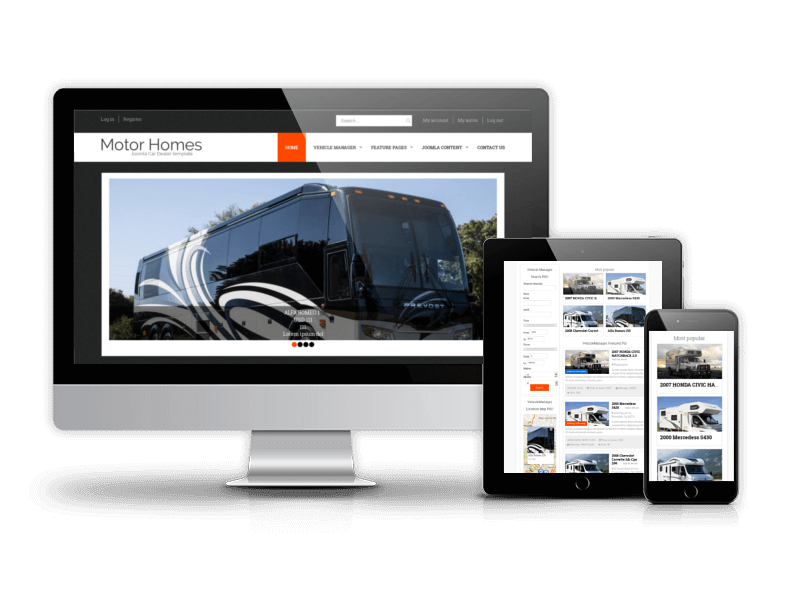 Motorhomes Joomla Template is fully ready website package, based on Joomla 3.7.x and Vehicle Manager PRO component Motorhomes website template is designed with car dealers, motorhomes and trailers owners in mind, also this Joomla template may be a perfect choice for anyone related to car dealership business - private auto dealers, auto dealership companies and other enterprises selling campers, trucks, vans, trailers, RVs and other vehicles. 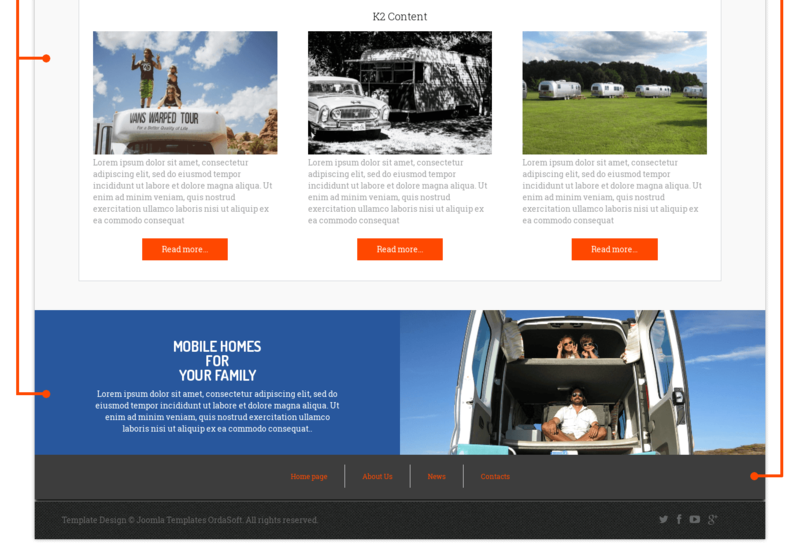 Motorhomes template is 100% responsive and adapts to different screen sizes. 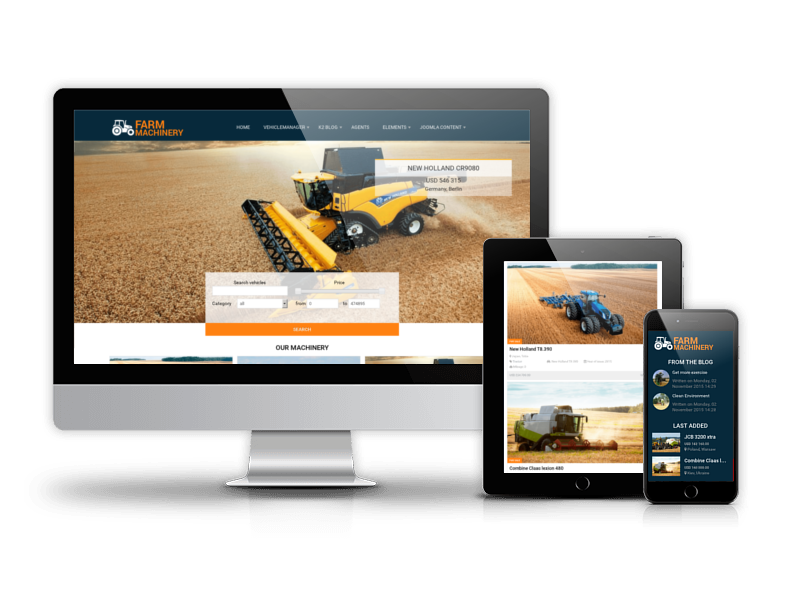 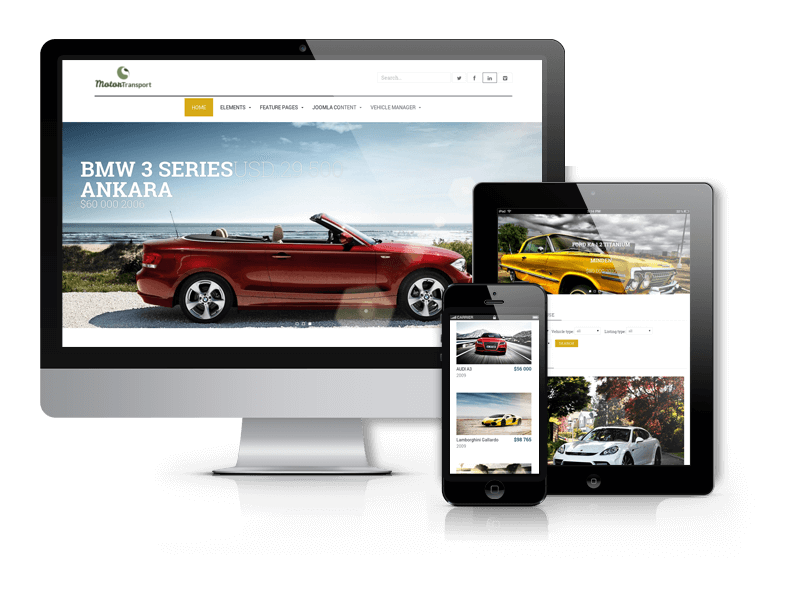 This feature and customization options are available due to Joomla Blank Template. 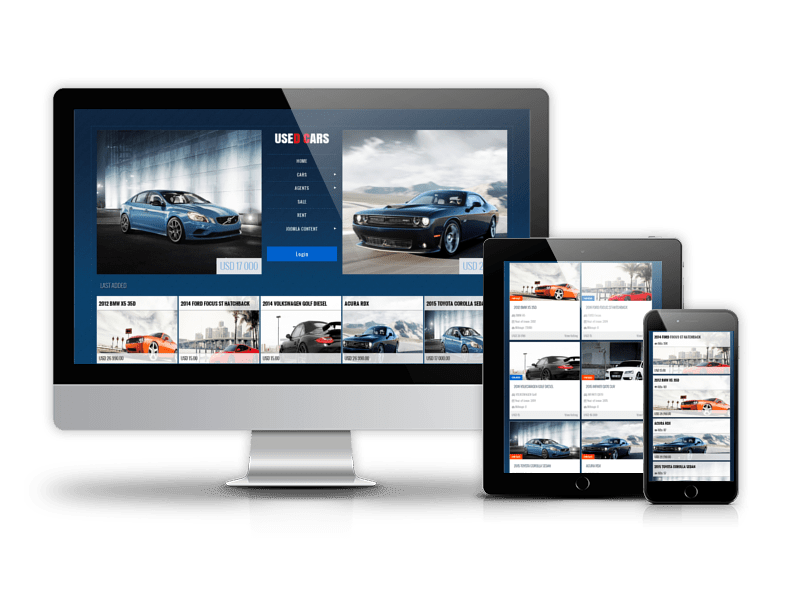 With its help, in template manager you are able to choose fonts, link style, body color and pattern and many other parameters and customize Joomla template to make your own unique and beautiful style. 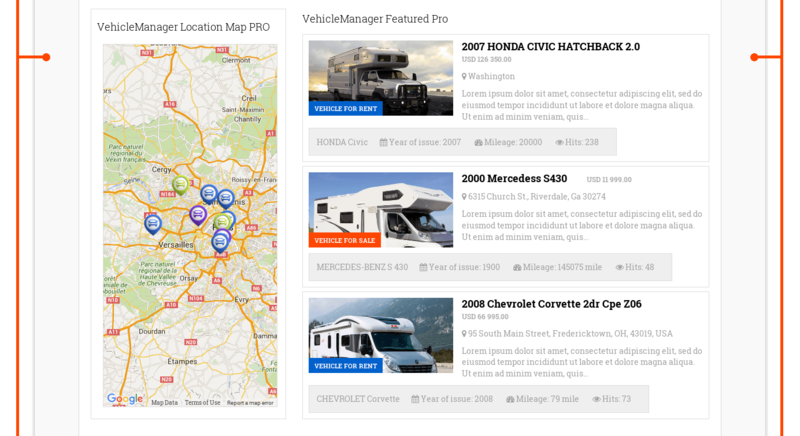 Vehicle Manager v.3.7 is responsible for the functional part of Motorhomes website template. 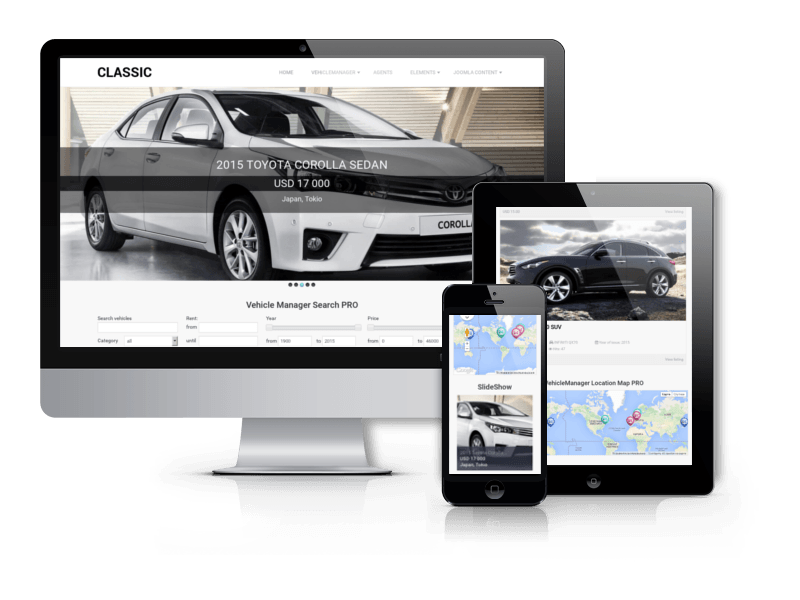 Search, Location map, vehicle's pages with detailed description and specifications are ready for use thanks to Vehicle Manager component, modules and plugins. 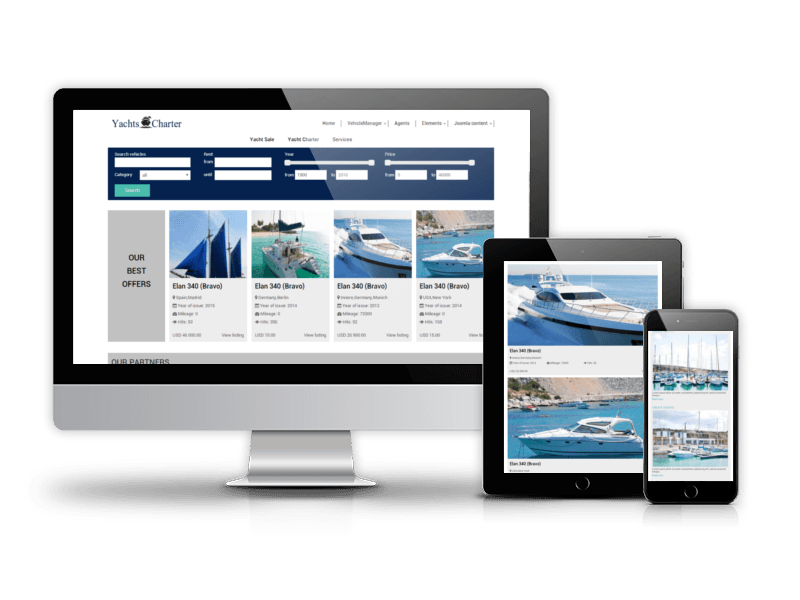 Add and manage motorhomes, requests for sale and rent of motorhomes, get reviews and ratings, send admin and user mail notifications - these are only a small part of possibilities of Vehicle Manager. 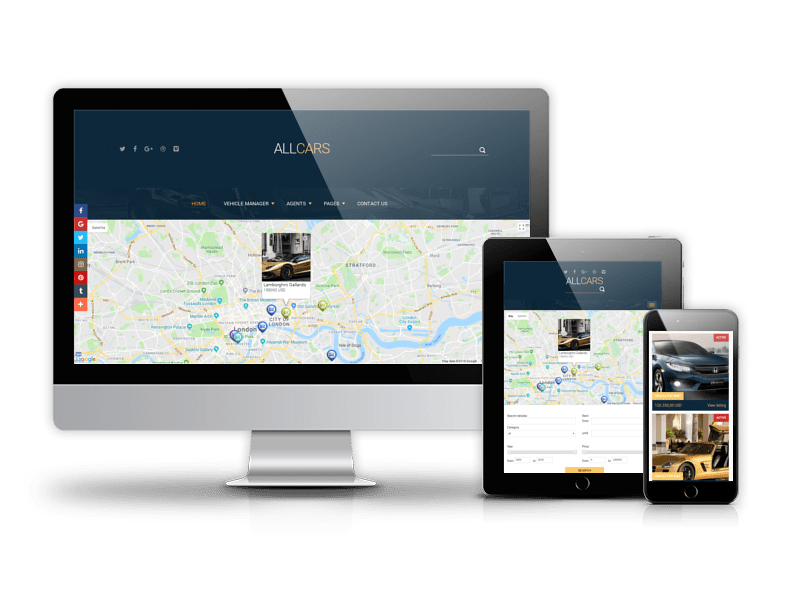 Check out the demo page and look at the variety of carefully predesigned layouts and additional modules, like Featured, Search, Similar, Slideshow, Touch slider, Location map. 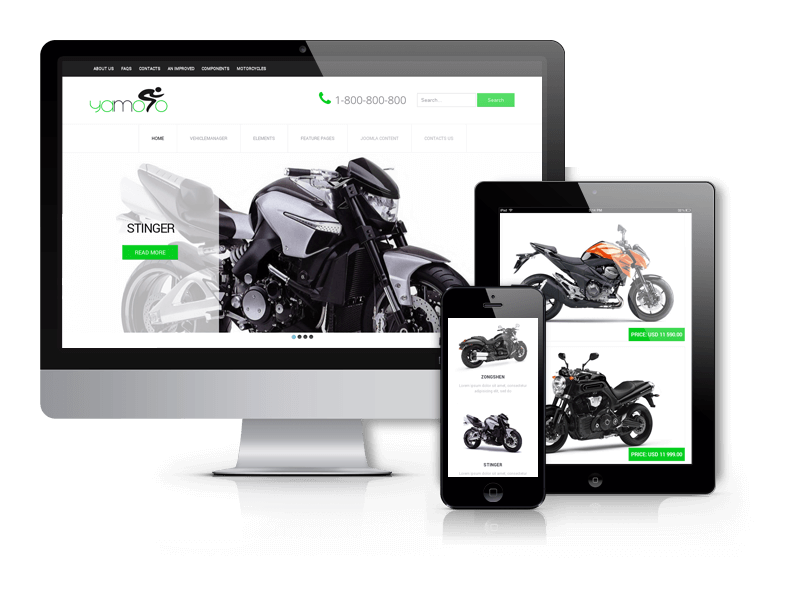 You'll find them all in Quickstart package. 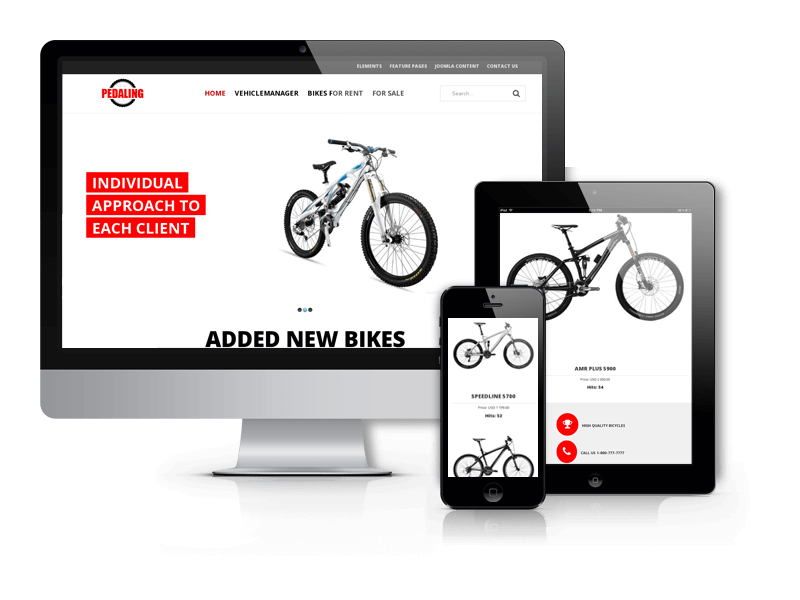 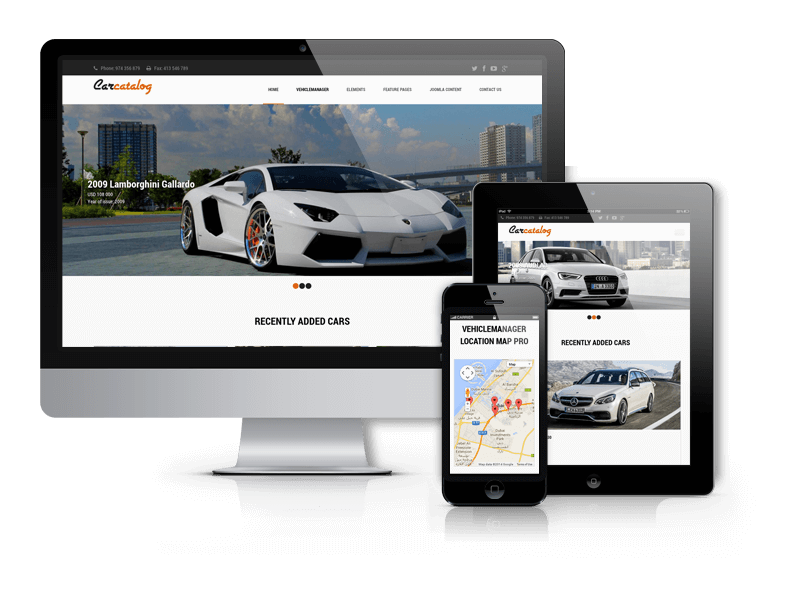 If you are looking clean design and functional site for your auto dealership website, don't miss the latest responsive Joomla template for motorhomes and trailers. 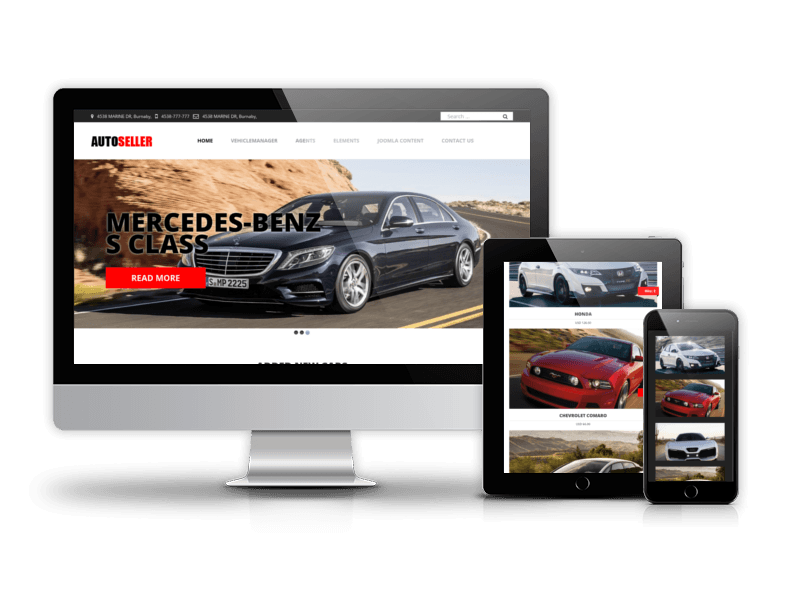 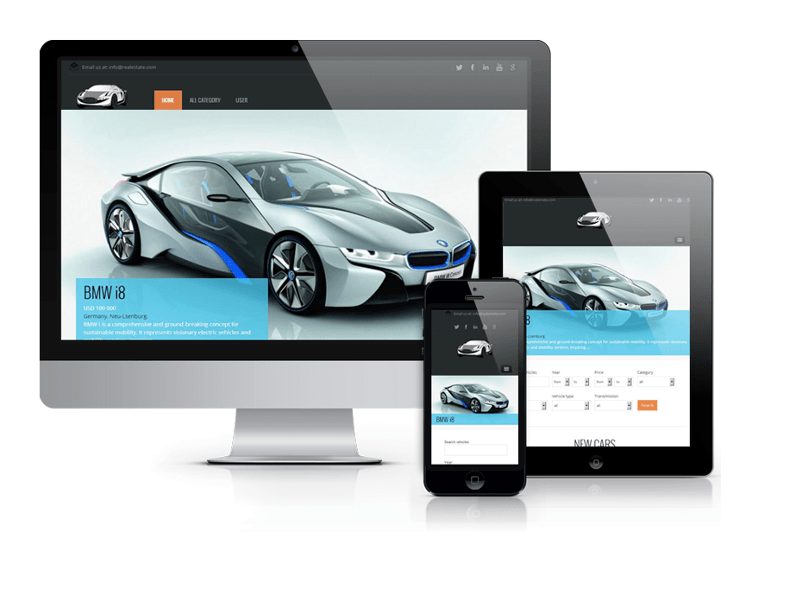 Also you can choose our other cars website templates. 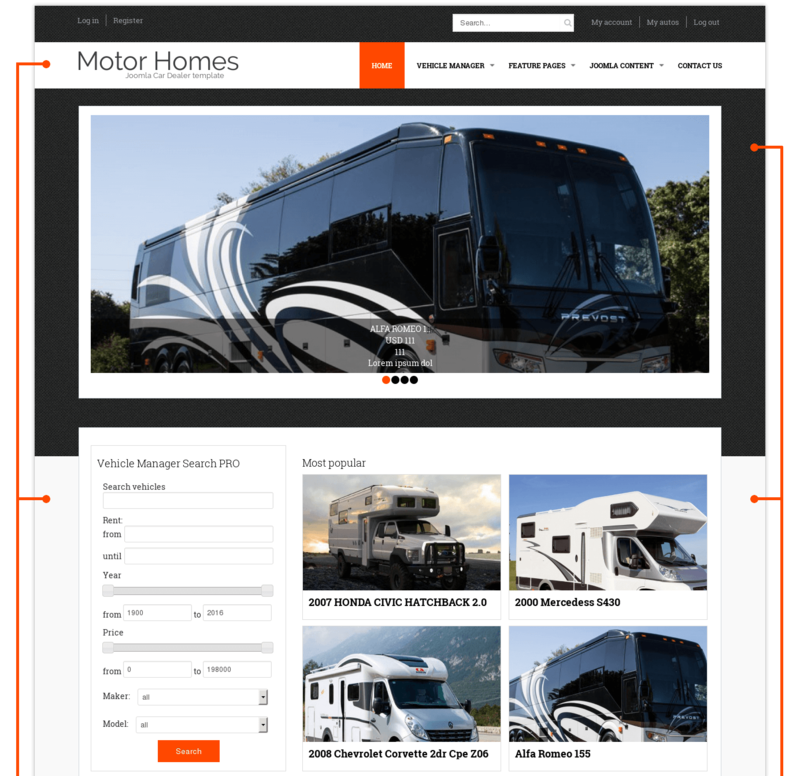 Due to Joomla Blank template, Motorhomes comes with a wealth of module positions to place your content exactly where you want it. 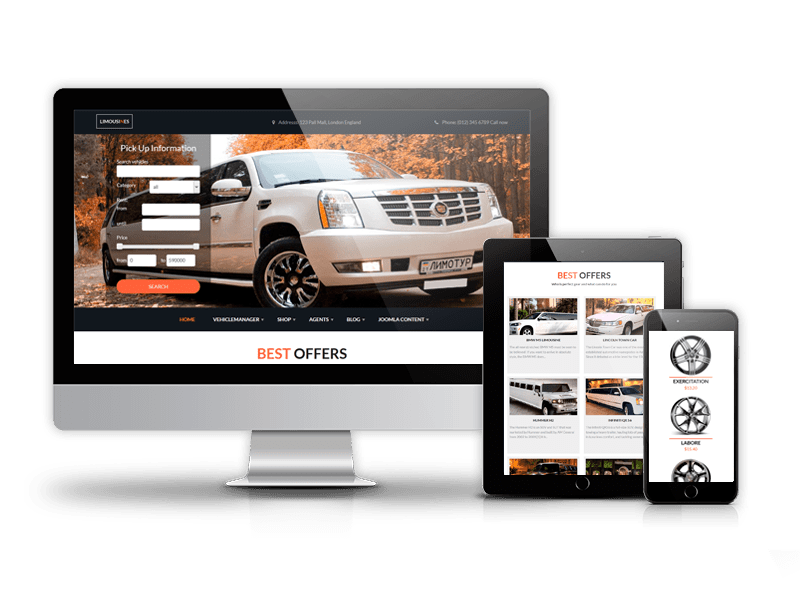 Motorhomes Joomla template fully compatible with all browsers: Chrome, Firefox, Safari, Opera and Internet Explorer 9+.